Winter can take quite a toll on your garage door. As the temperature begins to warm up and you start thinking about spring cleaning, it is important not to forget your garage door. Here is a quick checklist you can run through to ensure your garage door is in tip-top condition for spring. Look at the exterior and interior of your garage carefully. Check for any holes or patches of rust on the door itself. If you have a metal door, look for any paint that is chipping, cracking, or bubbling under the sealant. If you have a wood door, make sure the wood is not cracked or sagging. It could be a sign of wood rot. After you have done a general look-over of the door itself, now it is time to check your tracks, springs, rollers, and weather stripping. Check these components for rust or any signs of weakening, such as odd bending or sagging. If it has been a particularly wet winter, the weather stripping on the bottom of your door may need to be replaced. Do not try to repair springs on your own. Mishandling these high-torsion springs may result in serious injury. 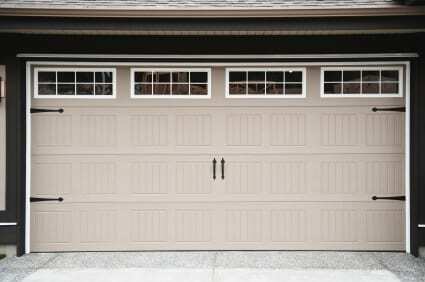 Sometimes the winter weather can cause your garage door opener to malfunction or rust. It is always good to take a thorough look at it to make sure it is in proper working order. It is never a bad idea to get a professional opinion. Call an experienced garage door company to inspect your garage door and ensure it is in safe working condition for the warmer months ahead. If you would like a garage door inspection or regular maintenance, contact Action Garage Door at (877) 392-2590. Our professionals would be happy to assist in keeping your garage in the best condition possible.